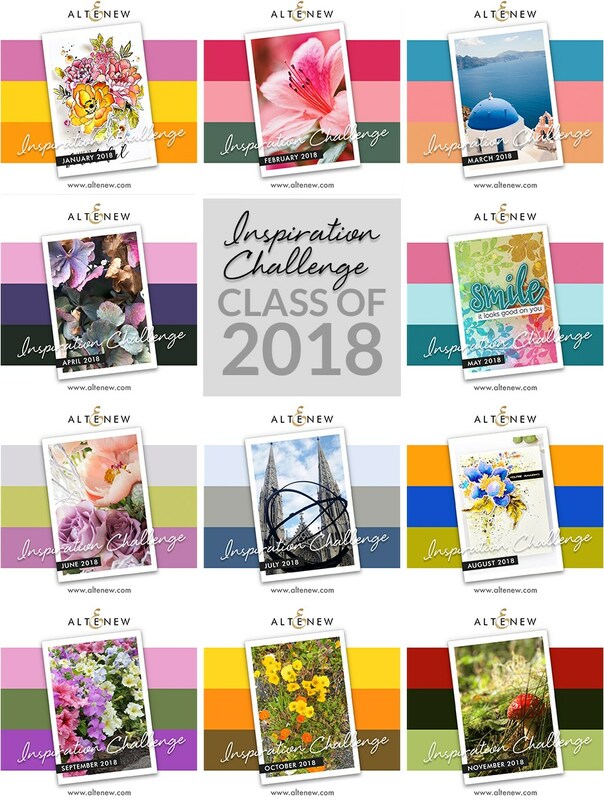 I was so inspired by some of the combinations in the Altenew 2018 Year in Review Challenge I had to make some more cards! This card is based off of the September color palette. 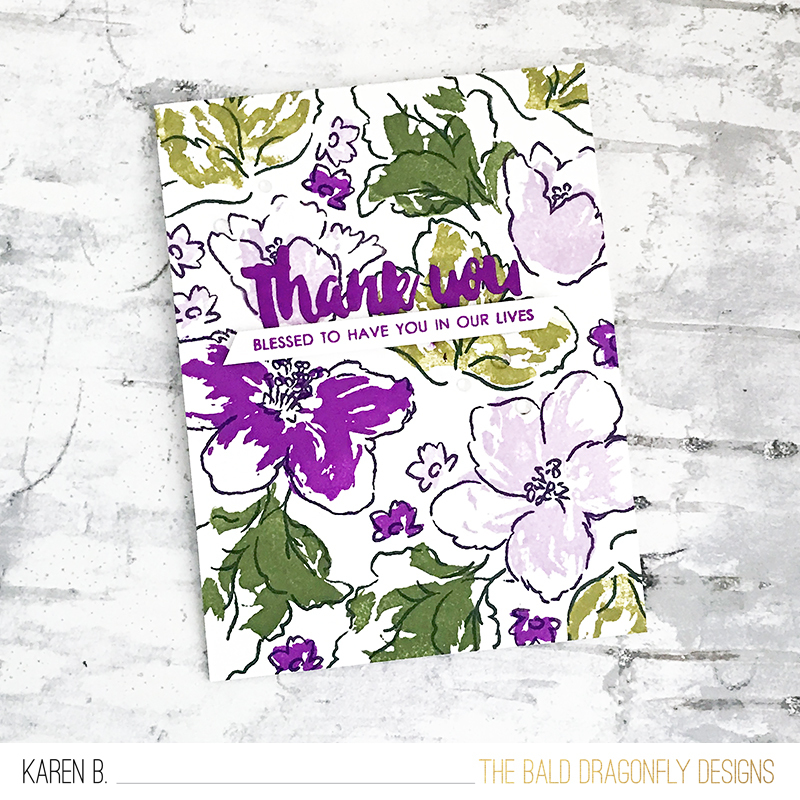 I stamped random flowers and leaves from the Hibiscus Bouquet. I then added a die cut from Majestic Blooms Die Set and a sentiment panel from Many Thanks. I finished the card with a few clear gems. It's been so much fun to create for fun, now that I have the time for it because of some extra vacation time away from work! I decided to play along with the Altenew 2018 Year in Review Inspiration Challenge, how beautiful is that collage?! I was drawn to the colors from August, the bright orange, blue and green. I created some orange/peach roses from Build A Flower: Rose and then added some blue berries from Peony Bouquet. 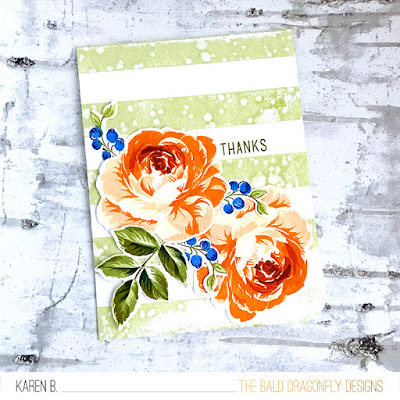 The background is a stamp from Simon Says Stamp's Wide Stripes Background Stamp. I hope to find some more time to work on the other month's inspiration pictures/colors! 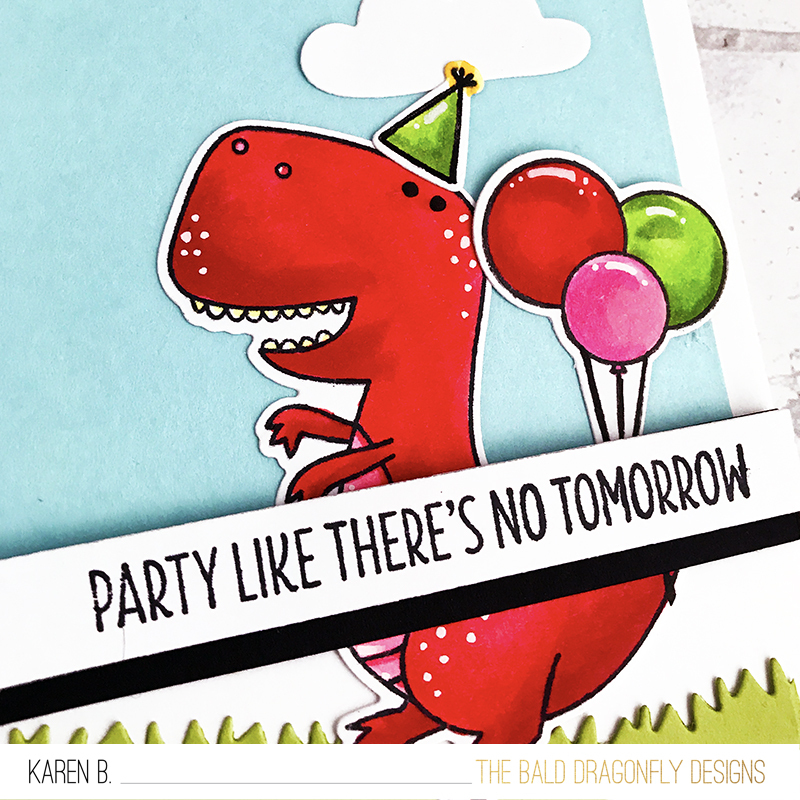 This dancing T-Rex is ready to party! 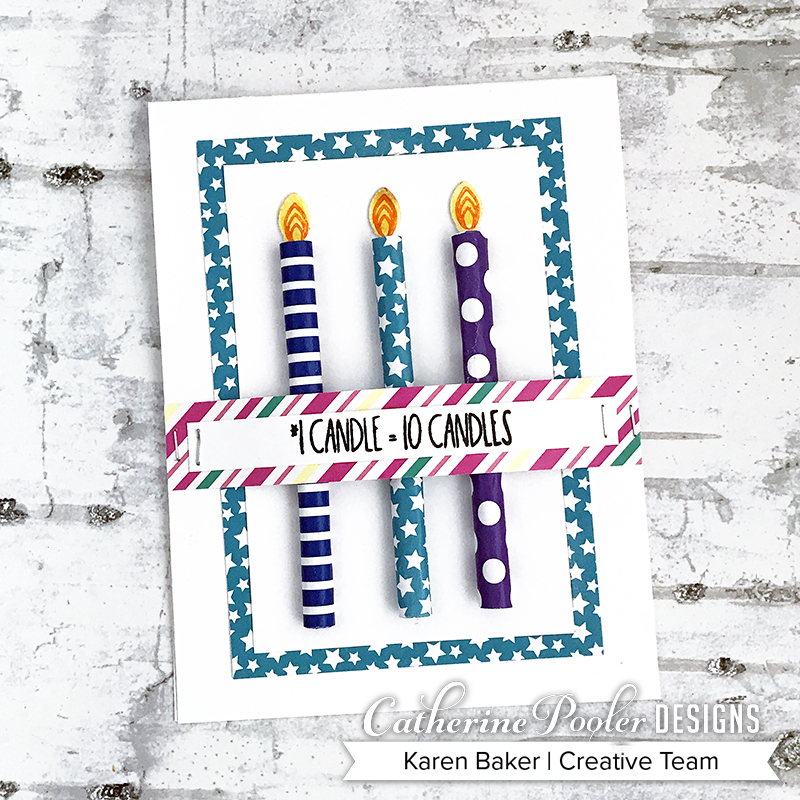 With the holidays approaching, it was a nice departure to create a fun and cute birthday card for the MFT Sketch Challenge #416 and MFT Color Challenge #107. I used a retired set from MFT called You're Raw-some and stamped and colored this cute T-Rex. 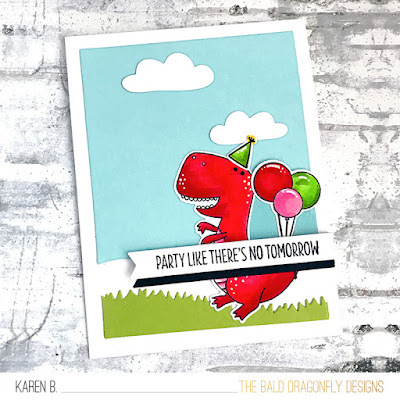 I embellished him with the balloons and hat from Happy Hippos Stamps and Dies (affiliate link used), I die cut the sky with Ocean Waves Die-Namics and the grass with Grassy Hills. 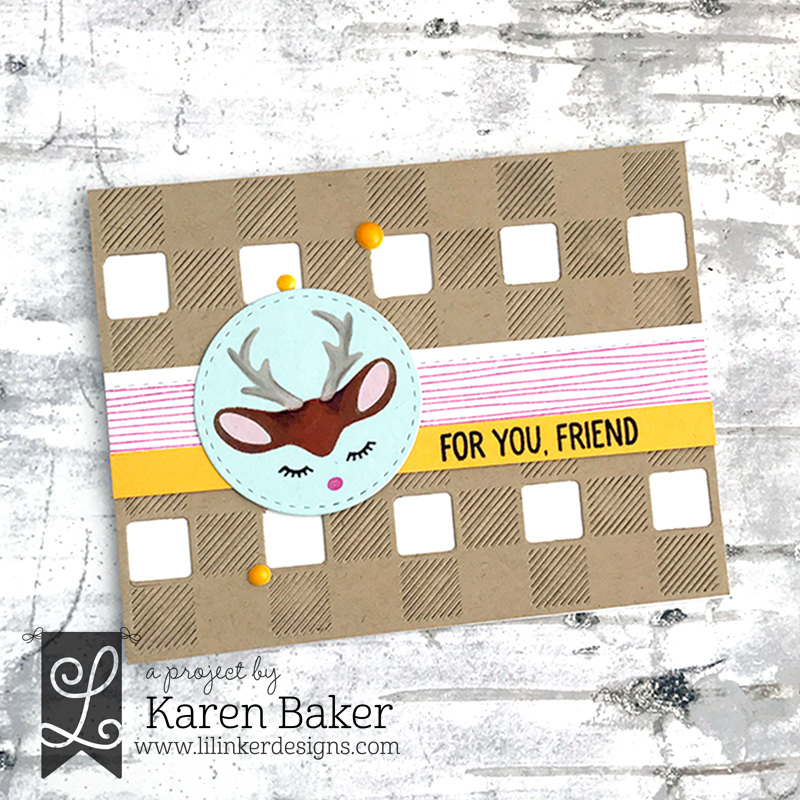 My first project is a cute winter card featuring stamps from Comfy Cocoa and the Buffalo Plaid Cover Up Die. 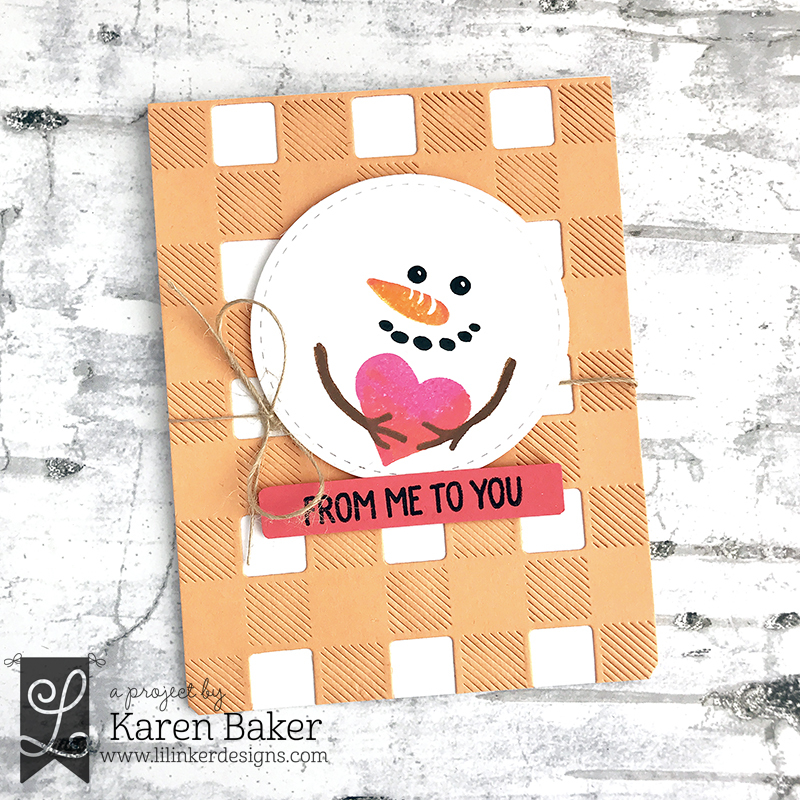 I started with a white card base and then covered the front with a die cut from the Buffalo Plaid Cover Up Die from peach colored cardstock. 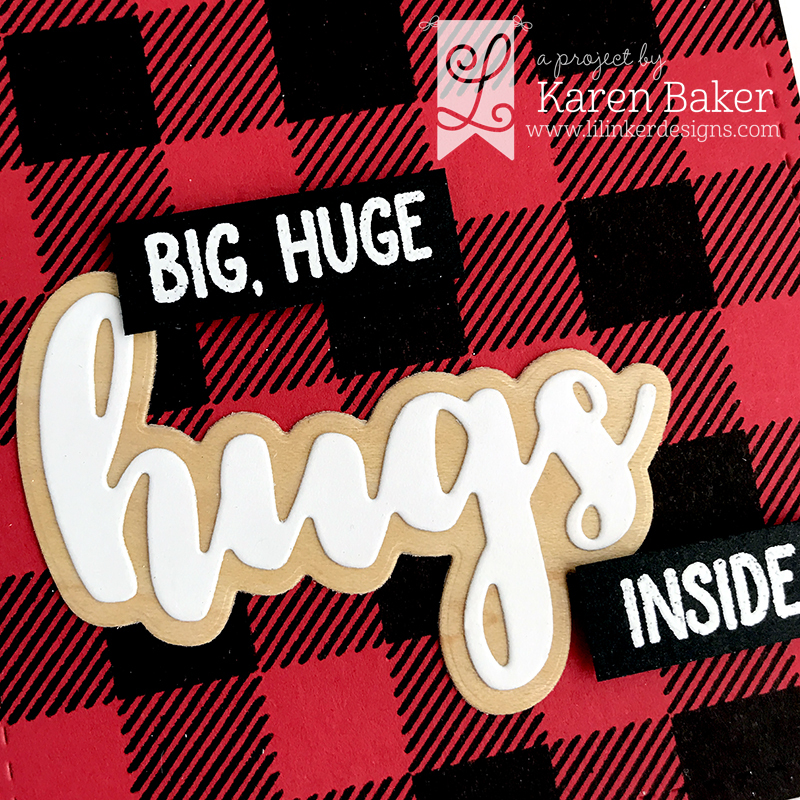 When you layer the die cut over another color, it creates a lovely, textured buffalo plaid look. 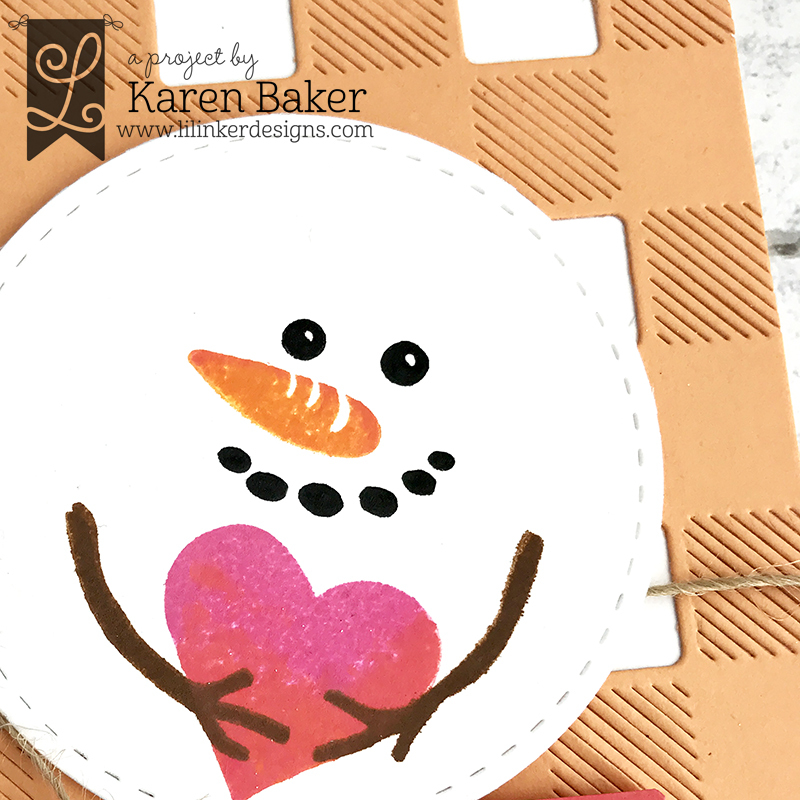 I then created the simple cute snowman with a die cut from Stitched Mats: Circles and then stamps from Comfy Cocoa. I finished the card with some jute twine and a sentiment panel from the Cozy Plaid Stamp Set. 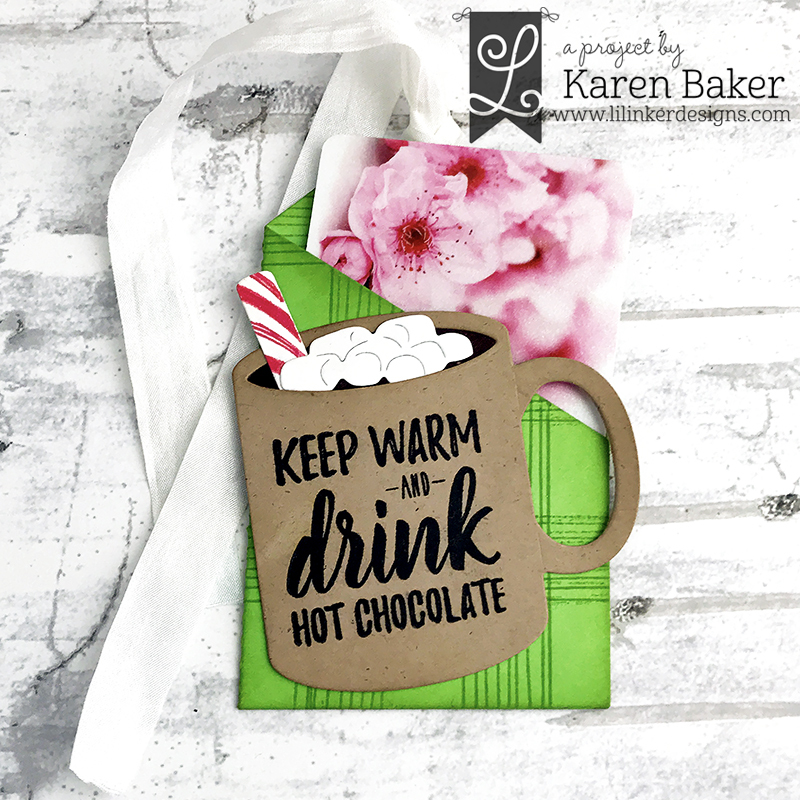 I used the same three new products, the Cozy Plaid and Comfy Cocoa stamps and the the Buffalo Plaid Cover Up Die, along with Nuvo Drops to create the above card. I love how trendy the skinny stripes are from Cozy Plaid are, as well as the "build your own reindeer" from Comfy Cocoa is. 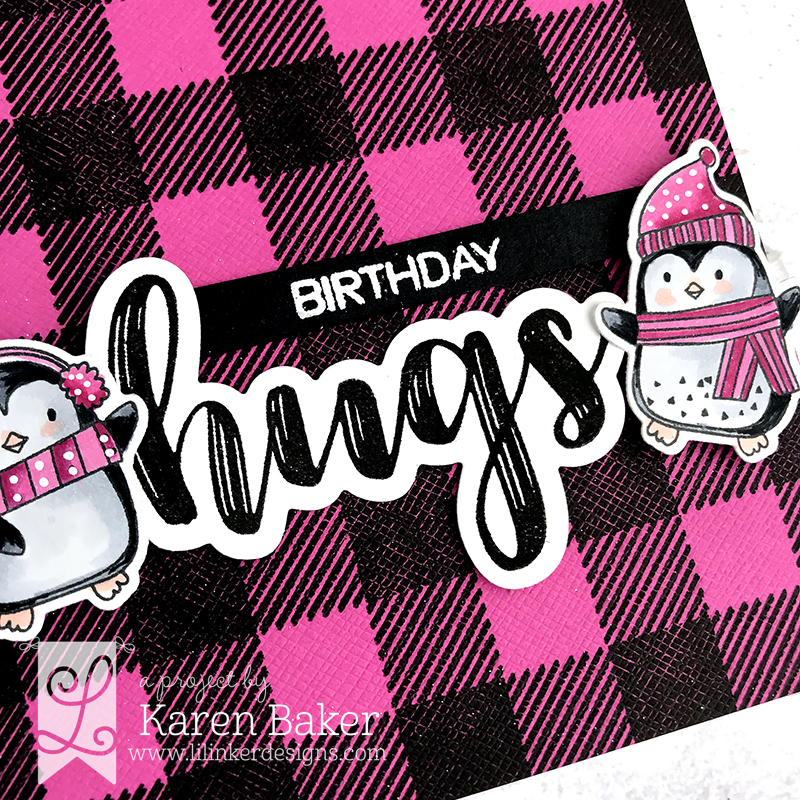 My first project is a cute little scene featuring the adorable penguins from the Good Cheer Stamp Set. 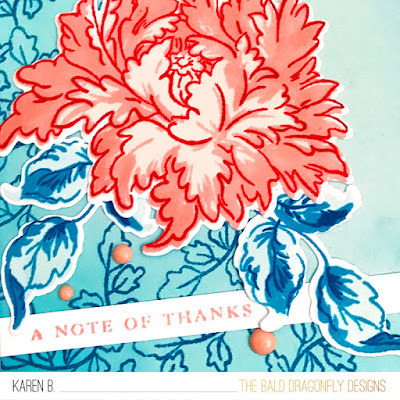 They were colored with Copics and embellished with a glitter pen, then die cut from the coordinating Good Cheer Dies. 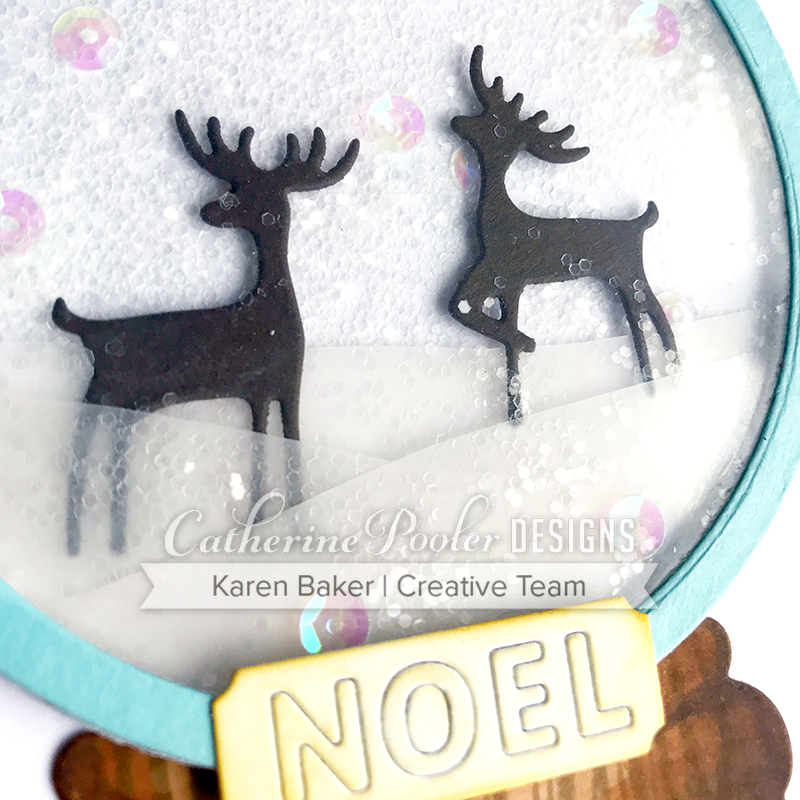 I added some wintery, glittery hills created from the Border Builders Die Set, then adhered them to a blue card base stamped with some pretty little snowflakes from the Good Cheer Stamp Set. I finished with a sentiment from Good Cheer Stamp Set. 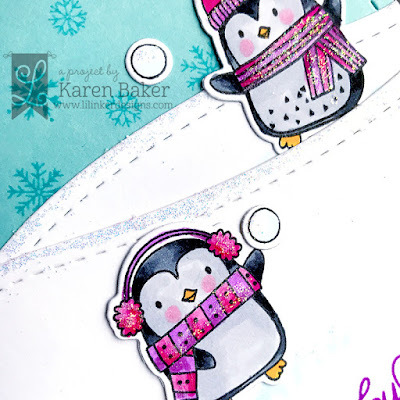 The little penguins from Good Cheer Stamp Set made their way onto another card I'm showcasing today. The background was quick and easy, but packs a punch! I simply stamped the buffalo plaid background stamp from the Cozy Plaid Stamp Set with black ink onto some fuchsia paper. 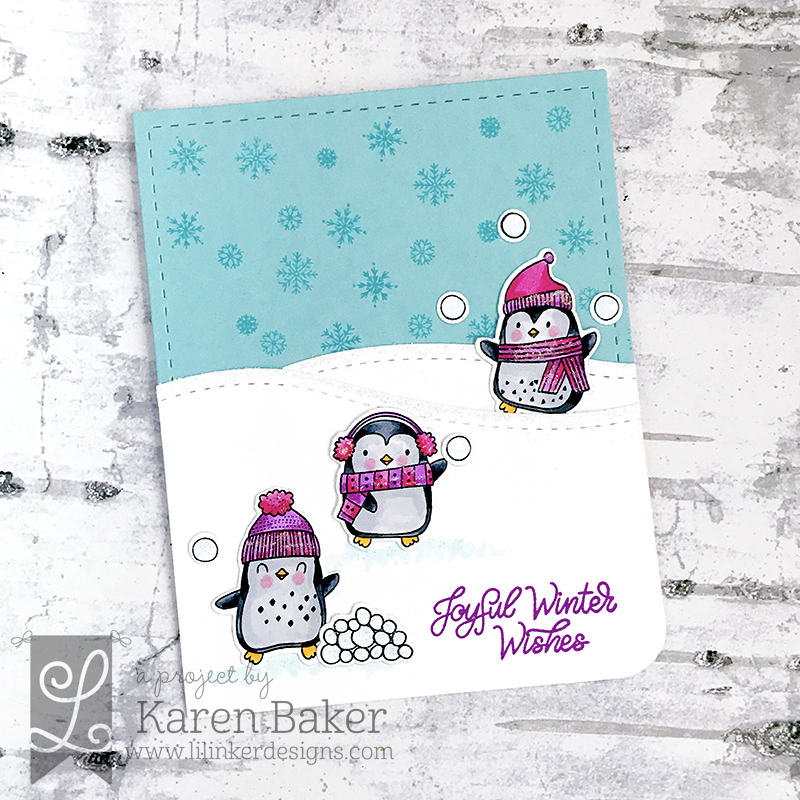 I then stamped, die cut and colored the penguins and added them to the card as well. The sentiment was created from the Hugs Word Die Set and the "Hugs" word stamp from Cozy Plaid Stamp Set. I love this set because 1. it has the large, amazing buffalo plaid background stamp plus 2. many coordinating sentiments to use with the large sentiment stamp! Are you ready for Catherine Pooler Designs newest release, the 2018 Winter Release?There are three collections offered, and they feature stamps, coordinating dies, patterned paper and some sequins. Wow! 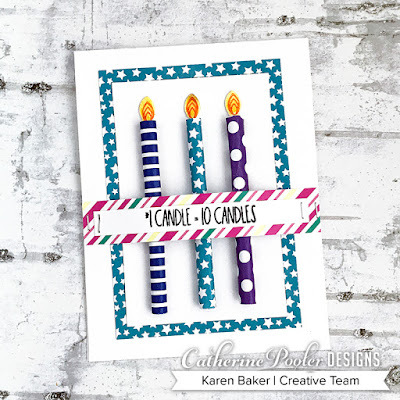 My first card features products from the Cake & Confetti Collection. 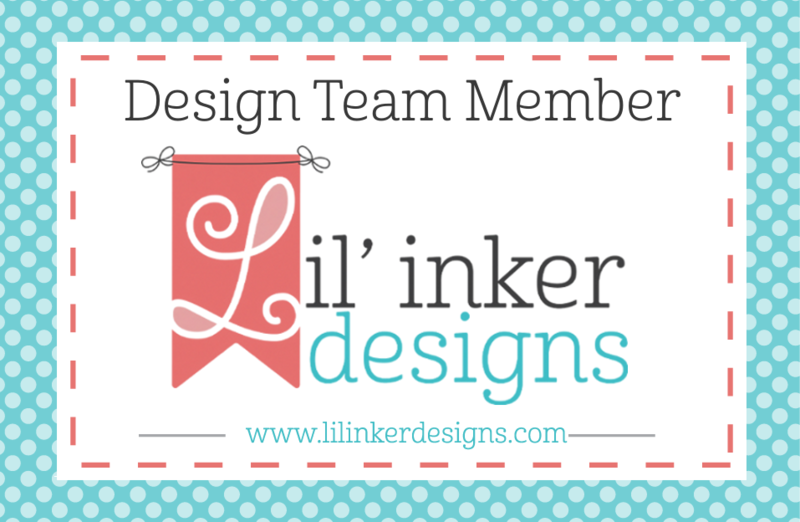 I started with Ultra Smooth White Cardstock and created a patterned paper border with Cake & Confetti Patterned Paper. I choose three patterns from the Cake & Confetti Patterned Paper, rolled a few strips to resemble 3D candles and attached them to a white panel. 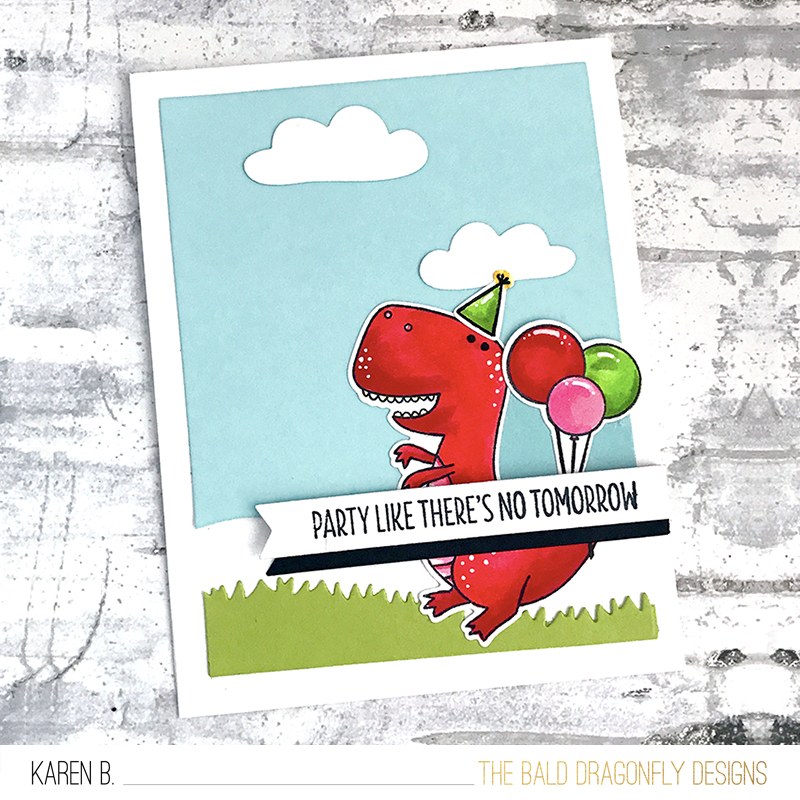 I stamped and die cut some flames from the Birthday Icons Stamp Set and coordinating Birthday Icons Dies. 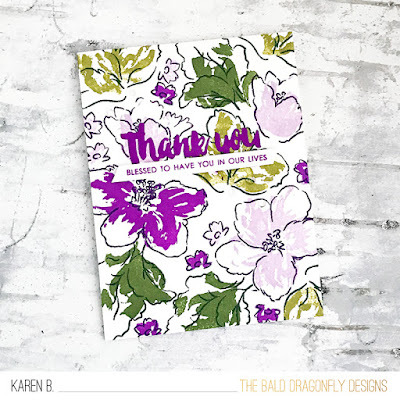 I created the sentiment panel with the same stamp set and Midnight Ink and the patterned paper, and that finished off my card. Clean and simple, but I think so much fun and whimsical! 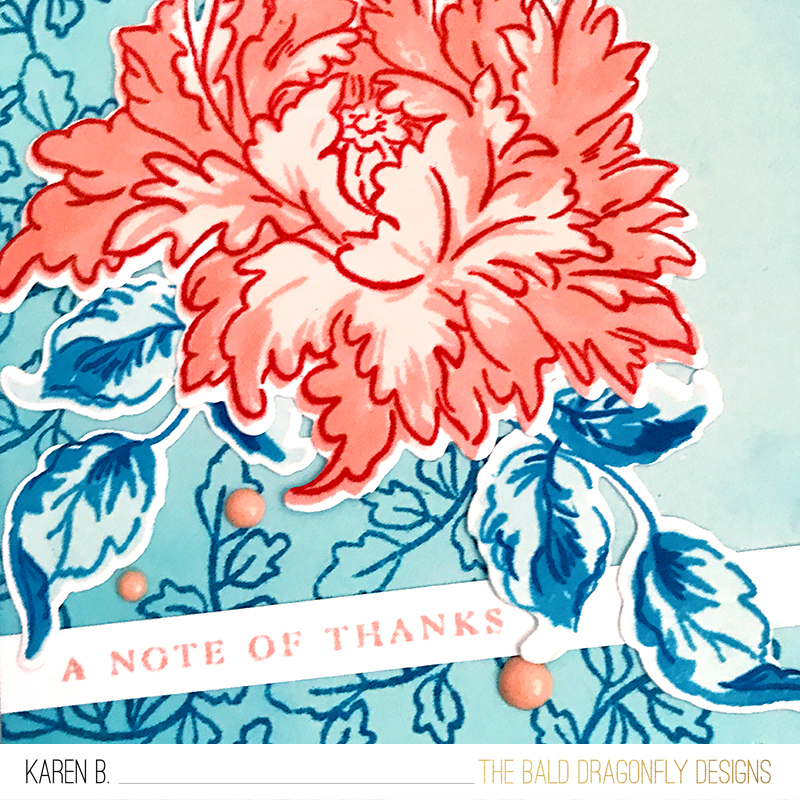 I went a lot more elegant and classy with this next card I'm showcasing, featuring items from the Smitten Collection. 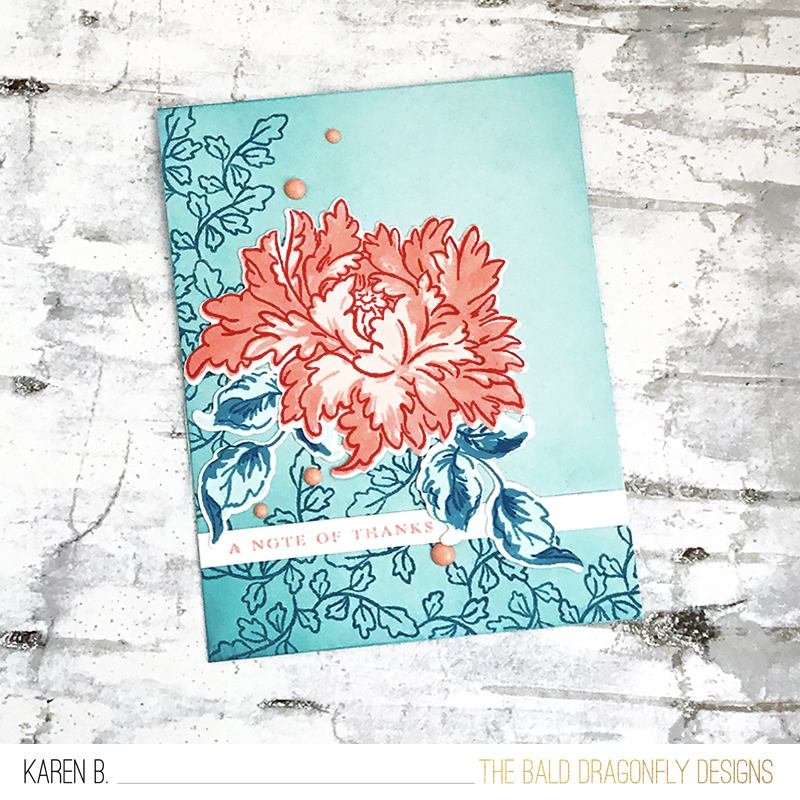 I started with an Ultra Smooth White Cardstock panel where I drew some diamond shapes and then stamped in one of the lovely patterns from the Say It With Love Stamp Set in Polished Ink. I then used a straight edge to ink shaded areas of the diamonds with Polished Ink. 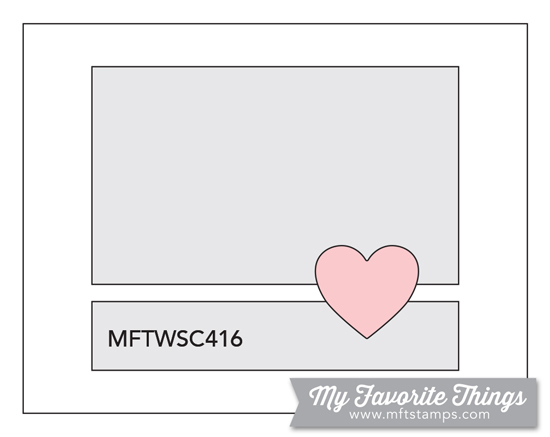 I did add a sentiment, also from Say It With Love Stamp Set in one of the diamonds, stamped in Midnight Ink. I added some details with sequins from the Inspiration Point Sequins Mix and some Black Nuvo Drops. I finished the card by mounting the main panel to some Midnight Cardstock and then a card base made from the ever so nice Ultra Smooth White Cardstock. 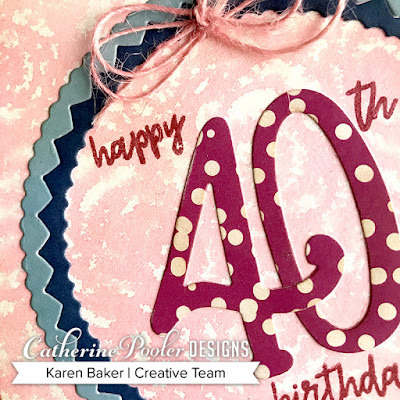 My last project features products from both the Cake & Confetti Collection and Smitten Collection. 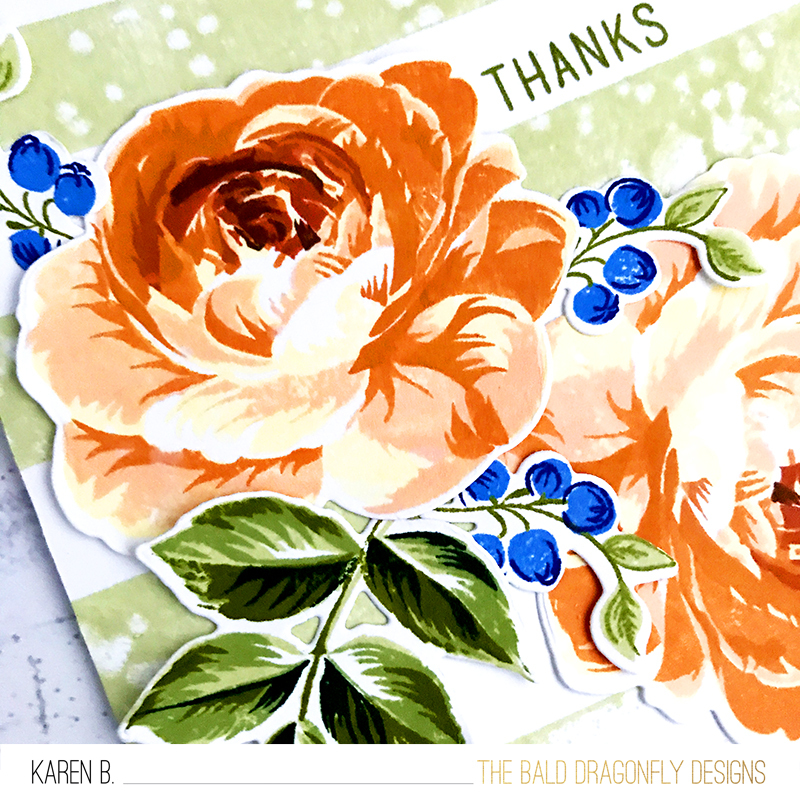 I started with a watercolor base that has been inked up with a watered down inked version of the fabulous Rose Stencil. I then die cut the Love Connection Dies and used the outer most heart ring and the outmost negative ring to create a border. I inked them up with Skylight and Juniper Mist Inks. I just love the look that the positive and negative pieces of the Love Connection Dies work together! I then die cut two large numbers from the Milestone Birthday Numbers Die Set from a pattern from the Cake & Confetti Patterned Paper, completed the sentiment by stamping in Peppermint Scrub Ink a sentiment from the Milestone Birthday Sentiment Mix Stamp Set. Then I added some May Arts Twine to finish the card. In addition to the two collections featured above, there is an amazing collection called Snowy Day that you must check out! Catherine Pooler Designs has also released an Envelope Liner Die, Deep Flap Envelopes in Ultra White and Soft White. Please be sure to hop and comment, as there are prizes! 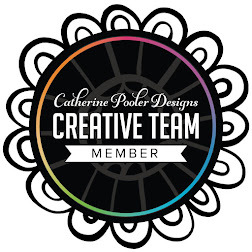 One winner will be chosen to receive a $25 gift certificate to the Catherine Pooler Store! 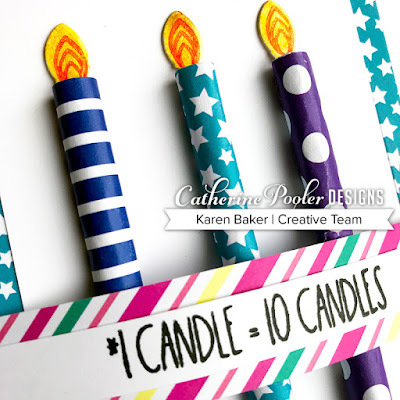 Winners will be announced on Catherine's blog on the evening of Monday, December 17th. 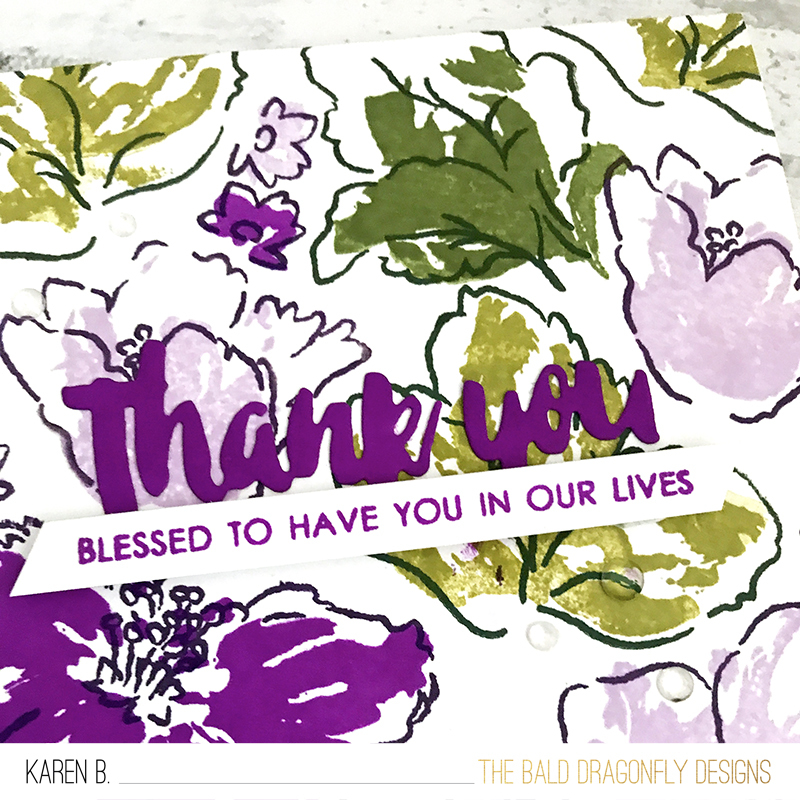 The Catherine Pooler supplies I've used are linked (affiliate links used) in the body of my post, I hope you have a chance to check them out! My first project features a tag with a custom background made from the trendy stripe pattern in the Cozy Plaid Stamp Set. I then die cut a mug from the previously released Coffee Talk 2 Die Set. 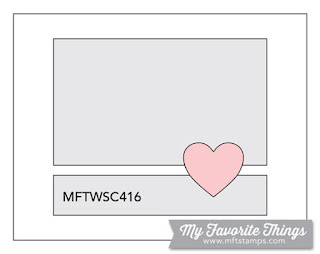 On it, I stamped one of the many cool sentiments offered in the new Comfy Cocoa Stamp Set. 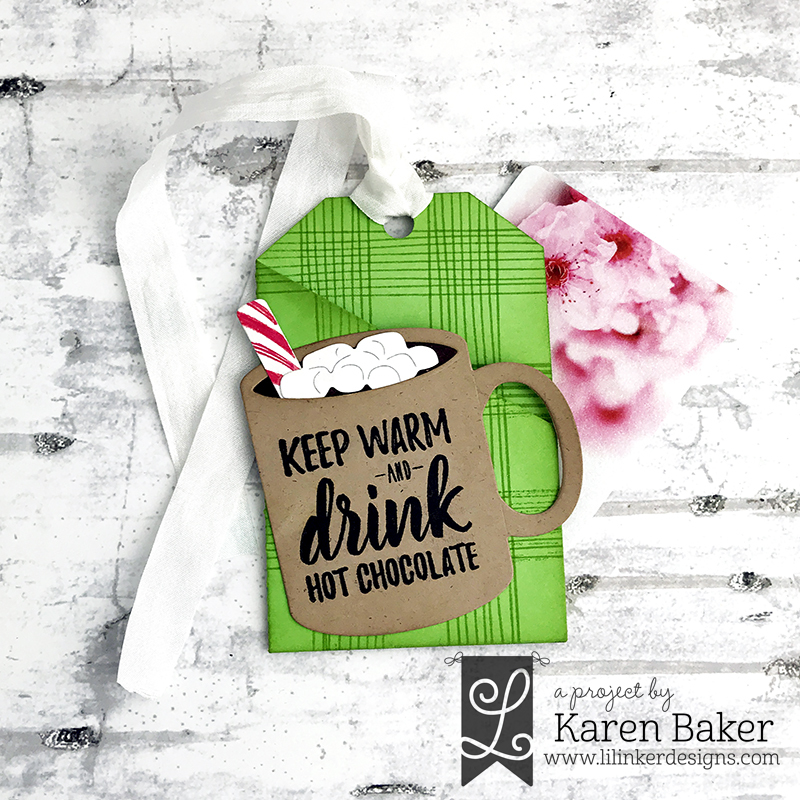 I added the super fun die cut marshmallows and peppermint stick from the Comfy Cocoa Die Set. I finished the tag with a ribbon, and now I have the cutest, trendiest packaging for a gift card for the holidays. 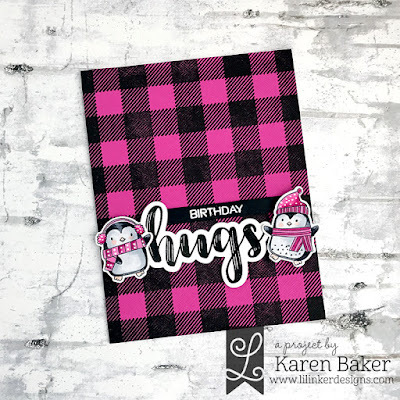 My next project is a card, featuring the buffalo plaid pattern from the Cozy Plaid Stamp Set. 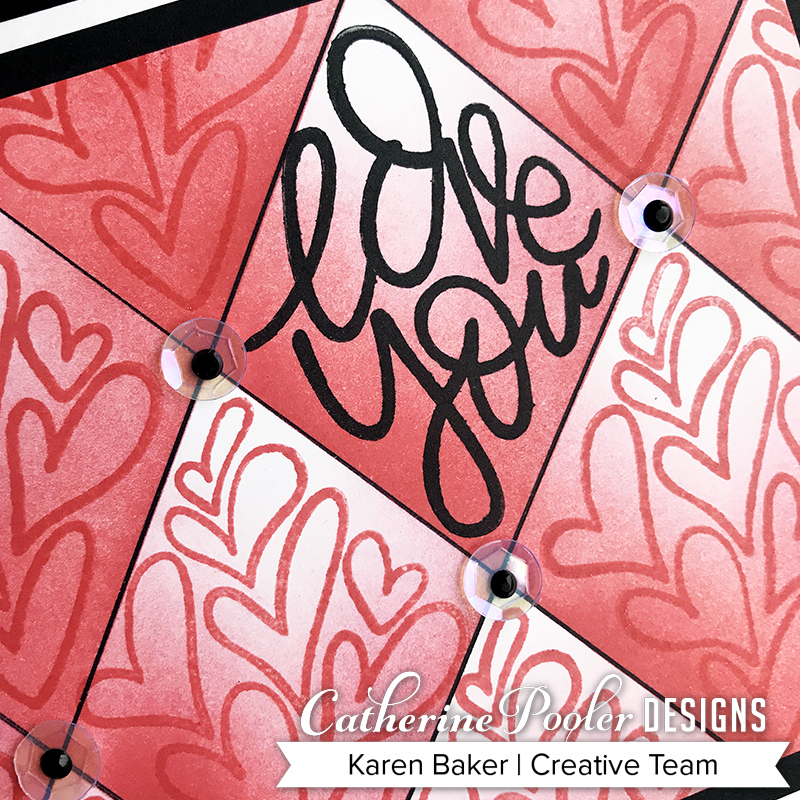 I stamped the pattern in black onto red cardstock and used the Stitched Mats: Rounded Rectangle Dies. 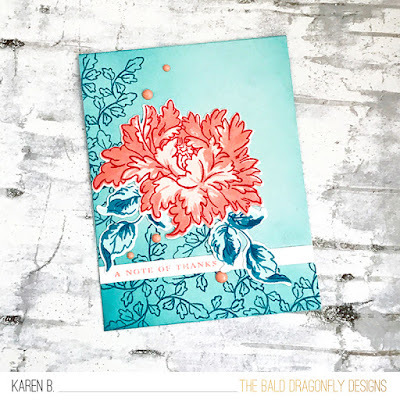 I mounted the pattern panel onto a white card base. Then, I die cut the Hugs Word Die Cut from both a slim piece of wood and white paper, and layered them on top of each other. I finished with sentiment panels from Cozy Plaid Stamp Set.